Meet Toufic Beyhum: one of the Loeries Student category judges. With a strong belief in the importance of acknowledging students for exceptional work, Beyhum says that students have something that olders creatives simply do not. Ready to find out more? media update’s Aisling McCarthy chatted to Beyhum about the importance of awarding students, and the upcoming Loerie Awards. Beyhum was born in Beirut, Lebanon in 1974 but moved to London at a young age. He showed an interest in photography, art and visualisation from a young age, and began his career in advertising at 21. He worked as an art director at various multinational advertising agencies, including Leo Burnett, BBDO and McCann in Dubai, Berlin and New York, and freelancing in London for six years. His work has been exhibited all over the world, and his photography series “Burqa” has been acquired by LACMA & The Frances Lehman Loeb Art Center for its permanent private collection. Beyhum currently works at Advantage Y&R, Namibia. In just over two years at the agency, he has helped push the standard of advertising in Namibia to a new level. With his help, the agency has won three Silvers and one Bronze Loerie, a Gold Epica, a Gold Lucie Award, a second place at the Cannes Act Responsible exhibition and Namibia’s first-ever Cannes shortlist. He says he is particularly excited about judging the Student category, as he says student work displays a level of pure creativity and raw passion. Further, he says that he enjoys student work because it is delivered by youngsters whose drive hasn’t been blunted by agency politics or industry disillusionment. Why do you think it is important for student work to be recognised by awards such as the Loeries? I had the honour of being a part-time mentor at the School of Communication Arts in London for three years, which is the most awarded advertising school in the world. All of the students know that winning awards means getting jobs. So the Loeries is very important for students in this region. Success at the Loeries could be their immediate springboard from a student to a junior creative in an agency. What do young creatives have to offer that their more experienced counterparts do not? Young creatives have passion and have no chips on their shoulders. They also know the younger target audience and are more aware of current trends than anyone else. I am hoping the Student category work will be braver [than work of older creatives at the Loeries]. Students don’t have to navigate the same hurdles us older creatives do. They can simply leap from big idea to execution – with the help of the dean and mentors, of course. What do you think separates work that is good from work that is exceptional? You know it when you see it. Work needs to be totally unexpected to grab my attention. Also, the actual craft is important – it's just as important as the idea itself. Craft can be that one ingredient that changes 'good' to 'exceptional’. Loeries 2018 is only a few short weeks away. 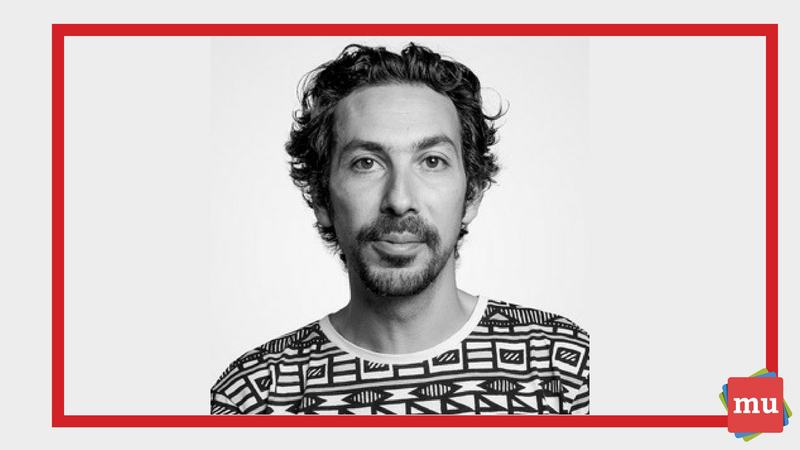 Find out more about one of the Middle Eastern judges, who will be part of the Awards, in our article, #Loeries2018: A Q&A with Ami Alush.